A major share of the bike accidents in India is due to slipping at top speeds. TVS motors, the makers of Apache series of power bikes in India launched Apache RTR with ABS to counter such situations. TVS Apache RTR ABS announced at the Auto Expo 2010. It includes a patented technology developed in collaboration with a German firm to avoid skidding at high speeds. The ABS technology will work at the events of heavy braking and avoid locking of wheels to safeguard the Apache RTR. So far ABS was a technology available in premium cars. The availability Anti-Lock Braking System in Apache would force more bike manufactures in India to come with such features to improve the security of users. 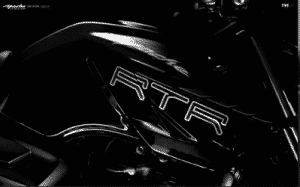 Price and production launch date of TVS Apache RTR ABS will be announced in few days.